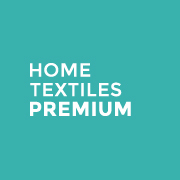 Home Textiles Premium by Textilhogar close its most international edition at Caja Mágica in Madrid, with many exhibitors claiming the fair has generated the most business yet. The results for Textilhogar, albeit estimates, indicate that it once again attracted more than two thousand visitors. Aside from the numbers, what stood out most this time was the volume of business generated for the 84 direct exhibitors and, especially, the broad range of foreign countries the buyers came from: 33 different markets in fact. Over the three days of the fair a significant number of orders were placed for this next season, whilst a number of deals were done for international contract projects too. The International Buyers visit once again played a major part in delivering these results. Arranged by the textile industry’s trade association, ATEVAL – Home Textiles from Spain with the support of IVACE Internacional and ICEX, the initiative involved a hundred professionals coming to the fair from 33 countries. It is also interesting to note that as well as these guest buyers around 200 more international buyers attended the fair independently, further enhancing the value of Home Textiles Premium by Textilhogar as a means of support and promotion for Spain’s textile industry in its drive to develop internationally. It is estimated that more than a thousand B2B meetings took place between exhibitors and international buyers over the three days. It is worth remembering that the event is highly attractive to Spanish professionals as well – managers of shops specializing in décor, interior designers, architects, upholstered furniture manufacturers, textile manufacturers and retailers of home and decorative textiles. As a result, the Madrid event has become a hub for business and networking. Many of these visitors made special mention of the ‘EL Cubo’ space dedicated to the contract sector, which showcased the country’s top textile manufacturers and this time featured a set of installations that replicated a range of hotel rooms that were widely praised on account of their originality, design and innovation. On the back of these results the fair has laid the foundations for a fresh edition in 2019, the prospects for which are already looking great. In fact, many enquiries were received over the three days of this last edition from potential new exhibitors that perceive Home Textiles Premium by Textilhogar to be a fair that is already well-established and a platform for driving new lines of business and developing new overseas markets.